To provide life saving water to villages without water and where aged and young alike have to labor intensively in order to bring water for the very basic needs, is pure joy. It is one of the most satisfying things we know of to witness the life giving water being brought into home and gardens, so we also pray that the true living water Jesus Christ will become known and that God's love will one day remove the darkness, fear and superstition of animism. 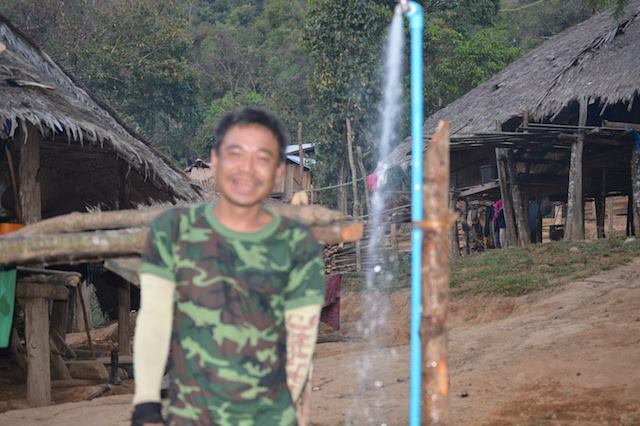 Most all of the villages in Karen State have no toilets and no water systems. The knowledge of even basic sanitation and hygiene concepts is almost non existent.​ Karen Outreach wish to meet this need through making village improvements in these areas when ever possible. Through giving food, blankets, mosquito nets, hygiene supplies, shoes and more are some of the ways Karen Outreach reach out to impoverished villagers. Medical relief assistance is another way which we show God's love and care, following in Jesus footsteps bringing healing and restoration to those in need. 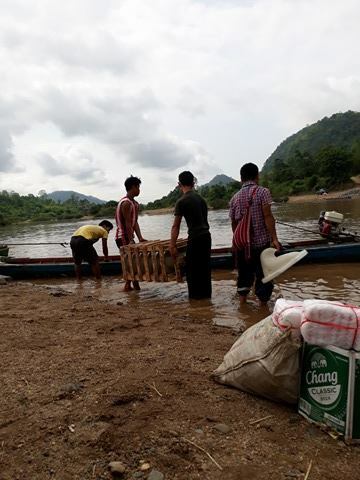 Karen Outreach have treated and provided for medical transportation and paid hospital bills for thousands of villagers through the almost nine years we have been on the Thai Burma border. 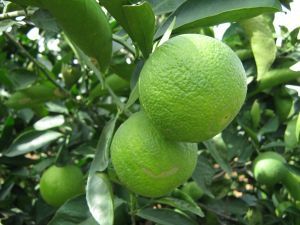 We would like to increase the amount of Lemon tree grafts, banana saplings, papaya starts and garden seeds we are able to provide for mountain villages. This is a way to bring improved nutrition and health to young and old alike.